A diagnostic survey of Israel’s long-planned occupation of the Palestinians’ land. In the political and legal realms, an “occupation” denotes “a temporary means of securing a territory following armed conflict or a war,” writes historian Pappe (History and International Studies/Univ. of Exeter; Ten Myths About Israel, 2017) in this follow-up to The Ethnic Cleansing of Palestine (2006). Yet, 50 years later, the Israeli occupation of the West Bank and Gaza Strip shows no end in sight. The occupation was conceived as early as 1963 by the Israeli military—the Israeli elite was looking for “the right historical moment to occupy the West Bank” even at the time of independence in 1948—but was hindered by certain strategic decisions. The so-called Shacham Plan eerily copied Britain’s occupation of Mandatory Palestine (which the early Zionists had condemned as “Nazi legislation”), entailing such dreaded regulations as permitting the governor to expel the population, summon any citizen to a police station, sanction administrative arrest, and resort to “preemptive measures.” The Six Day War of June 1967 brought this design into being, thanks to the solid military alliance sealed by then with the United States. Pappe underscores the “myth of the preemptive strike” against Egypt and Syria as actually long-plotted ventures to “Judaize Palestine and de-Arabize it.” Subsequently, such chief policymakers as Moshe Dayan and Yigal Allon decided to exclude the West Bank and Gaza Strip from future peace negotiations. Annexation entailed dividing the territories into “Palestinian” and “Jewish” and expelling the Palestinians—or making life too harsh for them to stay—while encouraging Jewish settlement. 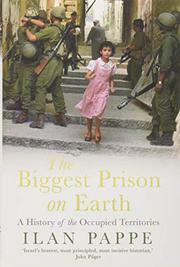 The author focuses on many of the players in these early machinations and how in fact the Labour Party legacy of the first decade of occupation, 1968-1977, helped consolidate “a unilateral rule that incarcerated the people of the Occupied Territories as inmates for life”—despite its reputation as enlightened and peace-making. A grim, hard-hitting look at the nuts and bolts of Israeli occupation.